As the 2017 Reebok CrossFit Games approach, we haven’t just been enjoying the coverage from the Reebok CrossFit Games’ Update Studio, hours of behind-the-scenes footage, the occasional comedy sketch, and even some pretty cool short films submitted to their video contest; CrossFit HQ has also been pumping out some very high quality CrossFit® documentaries. This week, they released a free, 40-minute documentary that provides an incredible opportunity to watch the sport’s greatest athletes train together, particularly the female athletes. 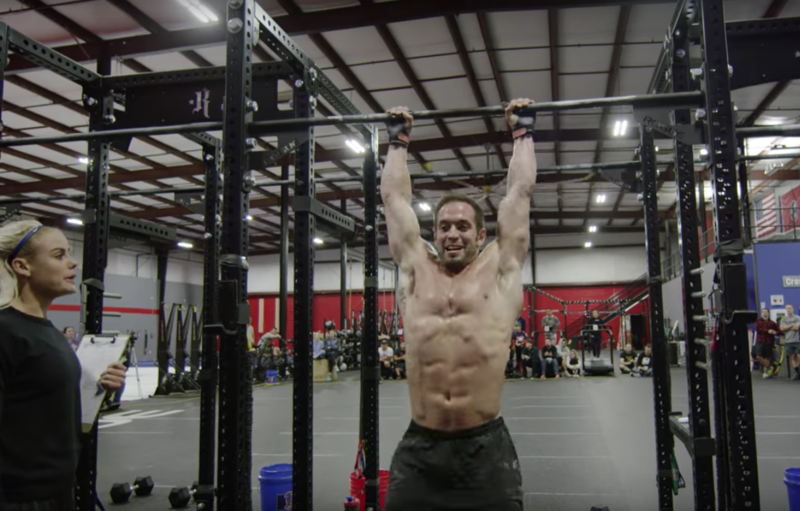 In Road to the Games 17.02: Cookeville Camp we see Katrin Davidsdottir, Sara Sigmundsdottir, Tia-Clair Toomey, Camille LeBlanc-Bazinet, and more of CrossFit’s greats — including Rich Froning — train together at CrossFit Mayhem as they tackle 17.2, the second workout of the CrossFit Open. We’ve got to say, one of the most entertaining aspects of the video is watching a gym full of some of the world’s most competitive athletes try to balance camaraderie and inclusiveness with their intense drive to be the best at their sport. The friendly-but-maybe-it’s-not-that-friendly trash talk between the athletes, particularly from Camille LeBlanc-Bazinet and Nick Paladino, is worth the click. Afterwards, the CrossFit Mayhem team heads to Rich Froning’s place to attend Cookeville Camp, a grueling event that features a training seminar on aerobic capacity from running guru Chris Hinshaw (it’s a lot of fun to see all the top athletes fail at single unders) and a brutal teamwork exercise from Major Brian Chontosh, a CrossFit athlete and retired Marine. Chontosh’s drills take place in the middle of the forest and last all night, and the athletes are punished multiple times for failing to pass tasks. You’ve seen CrossFit athletes in pain before, but not like this. Check it out.